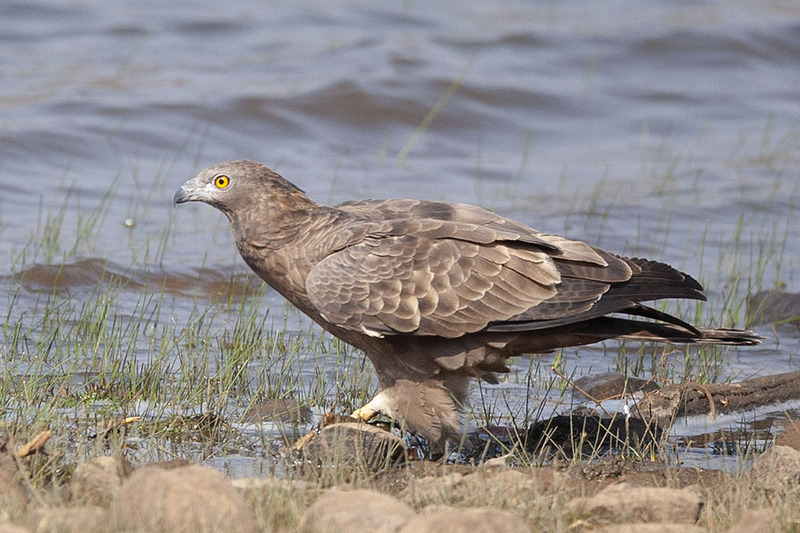 On a morning safari into the Tadoba National Park we saw the Oriental Honey Buzzard that came down to the lake to quench its thirst. It was a lovely sighting. 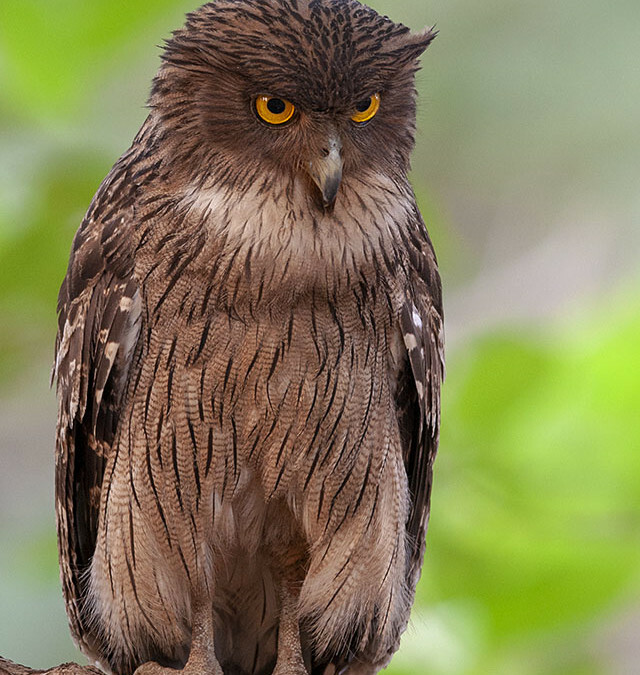 The Brown Fish Owl, featured above, was another price catch of the afternoon safari, later that day. 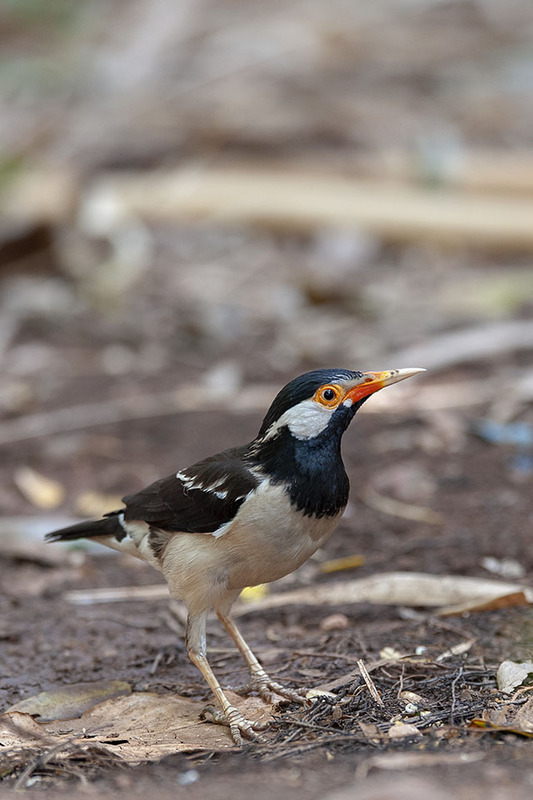 While waiting at the camp for the jeep, that would take us into Tadoba, I spotted this Common Myna with its lovely colours accentuated in the shade making a nice picture. 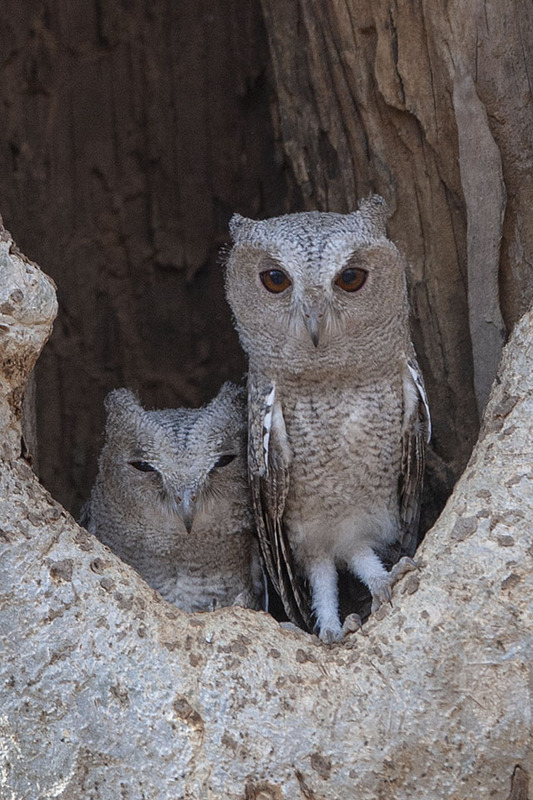 The well camouflaged Collared Scops-Owl was yet another cool sighting on what was fast becoming a birding safari in Tadoba National Park. 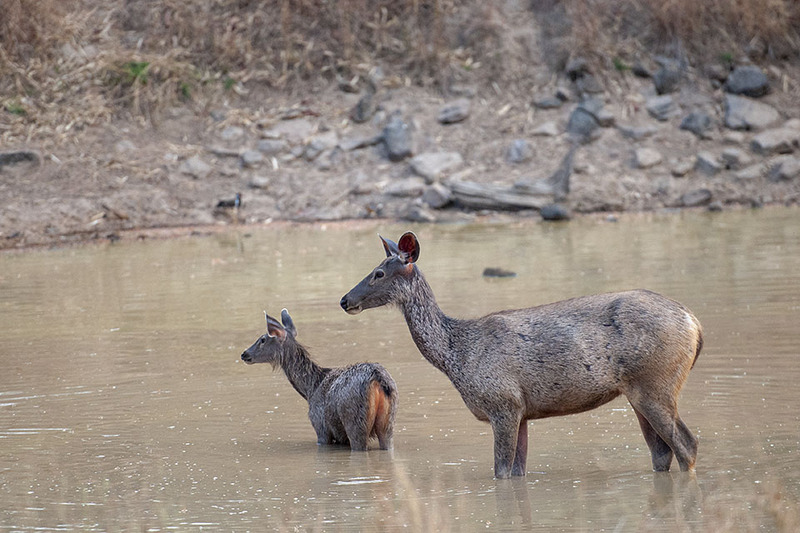 The Sambar Deer with Fawn was another sighting and we spent some time photographing them. But our hunt for the elusive Tiger was on. And our luck turned, as we exited the park. We spotted a Tiger hiding in the bushes not far from the road. When it realised it had been seen, it turned away from the road and disappeared into the thick Tadoba undergrowth. The light was very poor and we were almost out of time, so we made a dash to the park gates. But this spotting of the Tiger convinced me that our luck would change the next morning. More to come.